Because of its odd appearance and profusion of bones, pike is often overlooked as a fish fit for the dinner table. However, most fishing enthusiasts know that this freshwater catch can provide quite a tasty meal. When cooked properly, pike is firm, flaky and filling, so it’s best to prepare it in a way that keeps it whole and puts its natural flavors on display. After cleaning and filleting a haul of fresh pike, you can enjoy your catch by baking, grilling or frying it to a perfect golden-brown. 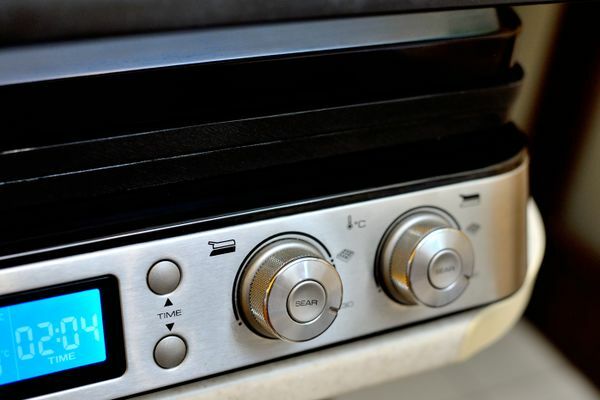 Set the oven to convection and allow it to begin warming while you clean and dress the fish. Make sure there’s plenty of room on the center rack. 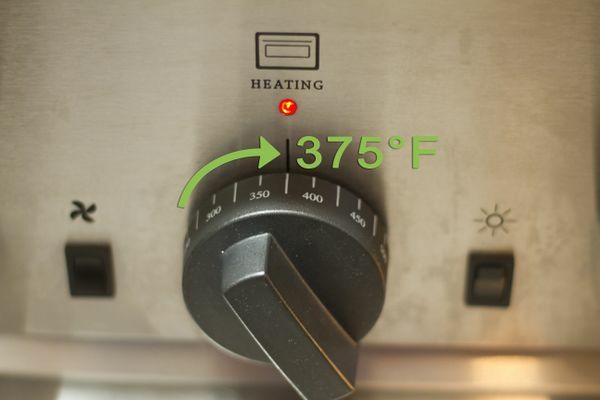 Keeping the temperature of the oven slightly lower will help the fish cook through consistently without falling apart. 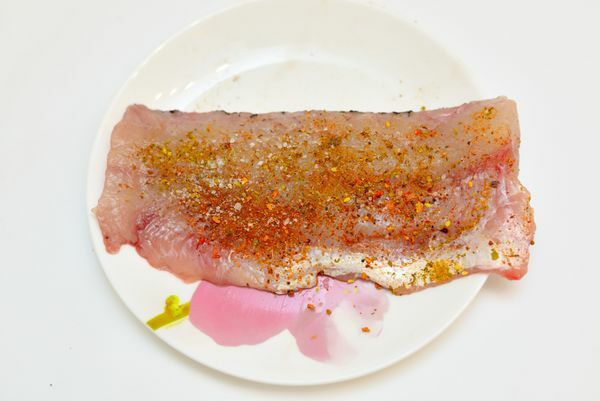 Lay each pike fillet on a sheet of aluminum foil. You can then add your herbs, spices and other ingredients of choice. 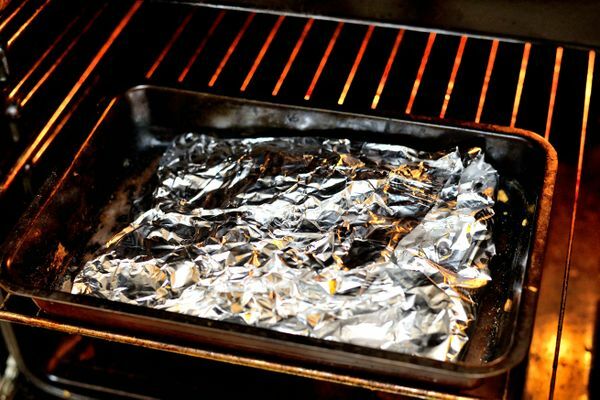 When you’re done seasoning, fold the edges of the aluminum foil up around the fillets, making sure they’re completely covered. 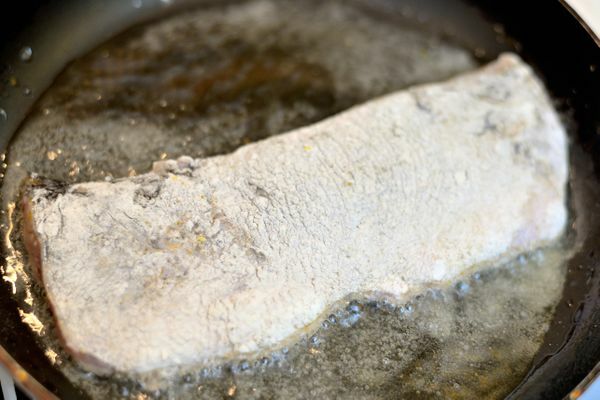 Baking fish uncovered often causes it to come out too dry. Add a burst of flavor to baked pike with aromatics like onion, capers, diced bell peppers, and oregano, or keep things simple with a little minced garlic and a drizzle of lemon-infused butter. 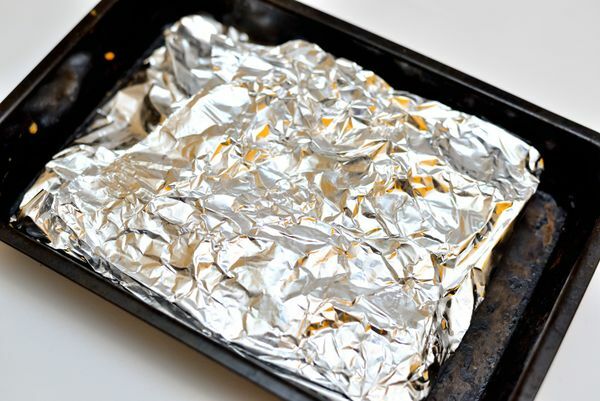 Transfer the aluminum-wrapped fillets to the baking sheet, leaving a little space between each. Open the oven and slide the baking sheet onto the center rack. 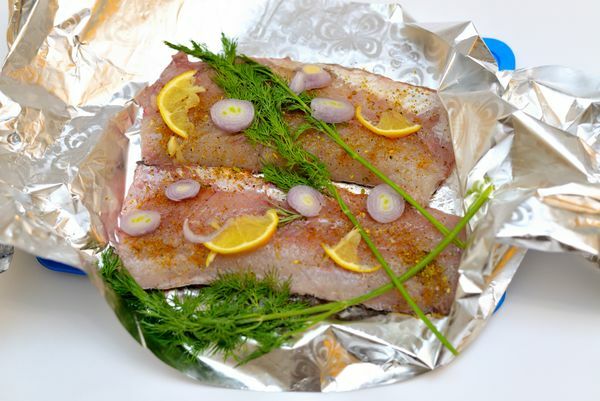 In addition to heating the fish more effectively, the aluminum foil will also lock in moisture and help the seasonings cook into the meat itself. Set a timer to keep track of how long the fish has been in the oven. When it’s finished, it should be tender and flaky with an opaque white coloring all the way through. Let the fillets cool for a few minutes, then plate and serve. You can test whether the fillets are done by cutting into them with a fork. Try to avoid overcooking the fish, as this can cause it to become mushy and bland. After giving your grill a thorough brushing, fire it up to a high temperature (around 350°F, or 176°C). Give the racks time to heat up as you finish seasoning and preparing the pike. The hotter the grill, the better the pike will cook and the faster you'll have dinner on the table. To keep the fish from sticking, make sure your grill is as clean as possible and cook for a shorter amount of time on a high heat. You also have the option of using a grill pan, which will offer a more evenly-heated surface to get the pike consistently done throughout. Sprinkle a generous dash of dried dill, garlic salt or lemon pepper over the fillets, or brush on a thin coating of molasses and ground ancho chiles. Alternatively, you can marinate the pike beforehand for 3-4 hours in your favorite seafood marinade. Experiment with making your own dry rubs from a blend of ingredients like dehydrated garlic, paprika, brown sugar, coriander and anise. Drain excess marinade from the fillets before grilling. If they’re too wet, they may fall apart when exposed to the heat of the grill. Drape the fillets diagonally across the metal rack, concentrating them around the edges of the grill. Turn them once at the halfway point to make sure they cook evenly on both sides. Otherwise, leave them alone—handling them too much will make them more likely to break into pieces. A good general rule of thumb is to grill fish for approximately 10 minutes for every inch of thickness. If you’re using a grill pan, spread the fillets out to keep them separated. 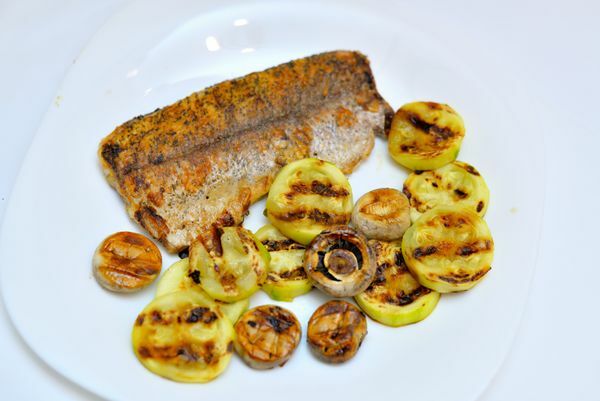 Grilled pike goes well with other health-conscious items like steamed broccoli, burgundy mushrooms or rice pilaf. Or you could choose a more basic presentation with sliced ripe tomatoes and corn on the cob and let the pike do most of the work. Either way, grilling is one of the most nutritious ways to serve a lean, protein-packed fish like pike. Wrap the pike fillets in aluminum foil along with hearty veggies like asparagus or new potatoes before grilling to steam a complete meal in one fast and easy step. Throw together a mixed green salad or slaw comprised of fresh seasonal root veggies to provide the finishing touches. 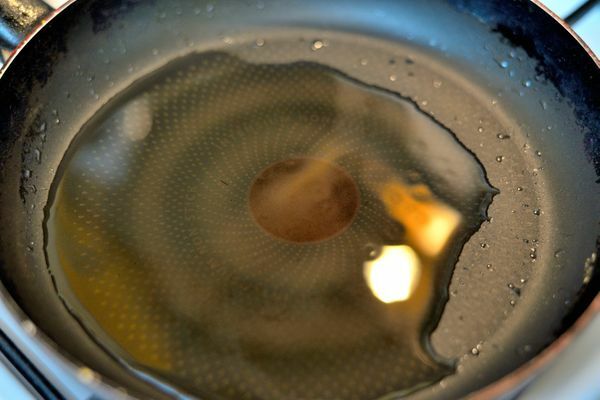 In a small mixing bowl, whisk together ⅔ cup of milk (160ml) and one whole egg. Dip the pike fillets into the dairy mixture, then coat both sides in flour (use two rounds of flour if you prefer crispier fish). 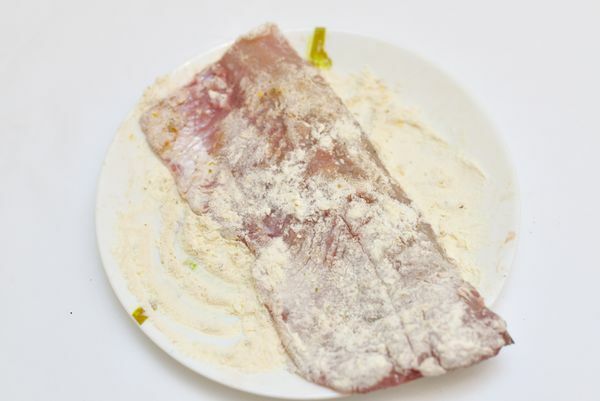 Set the dredged fillets aside on a separate floured plate. For added flavor, season the flour mixture with spices like salt, pepper, parmesan cheese, garlic or onion powder. 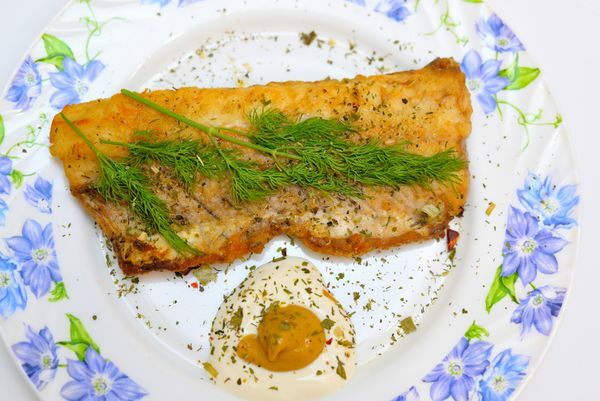 Batter for deep-fried pike can be made by combining about a cup of flour with the dairy ingredients and giving the fillets a preliminary dip in an egg wash.
For pan-fried pike, pour in about a ⅔-1 cup of peanut or canola oil (160-240ml); for deep-fried fish, you’ll need to use as much as a quart in order to totally submerge the fillets. Heat the oil over medium-high heat until it begins to sizzle. 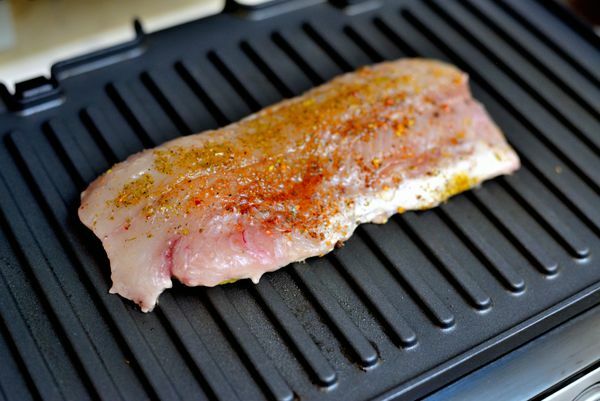 Make sure that the pan you’re using is roomy enough to hold the oil and fish fillets without spilling or splattering. Depending on the size and thickness of the fillets you’re preparing, it may take a little more or less time to cook them to the perfect crispy finish. Your eyes will be the best judge here. When the fillets are done to your liking, use a pair of tongs to carefully remove them from the pan and set them aside on a layer of paper towels to soak up the excess oil. If you’re pan frying the fillets, don’t forget to turn them over so they cook evenly on both sides. Hot oil tends to cook fish very quickly. Be ready to take the pike out when the batter just begins to darken. French fries, hushpuppies, and coleslaw make a perfect match for the mild crunch of fried pike. Some lighter fare could also include slow-simmered green beans or potato salad. Dig in while it’s hot! Try serving fried pike with baked beans and toasted, buttered bread for a twist on classic fish and chips. 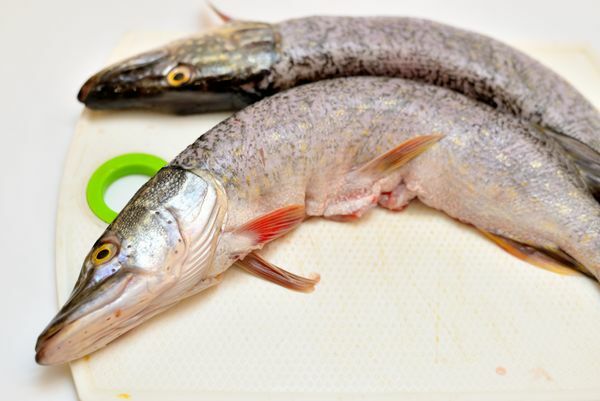 Enjoy fried pike with savory tartar sauce or a splash of malt vinegar.